Very pretty quilts! Thank you for sharing them with us! Love the Sea and Sand Log Cabin, but they are all beautiful finishes. Every one of your quilts is spectacular! I have a passion for scrap quilts, they just seem to develop their own special personalities. Thank you for sharing and have a wonderful creative day! What a beautiful group of quilts!! Can't even decide on a favourite out of these five but if I did have to choose then I it would be the String Quilt. What a beautiful collection! I'm glad to see these. I usually think of your quilts made with pastels. These are very rich colors, and just as tasteful and charming. C'est toujours un plaisir de revoir tes quilts. Je ne manque pas d'y faire un tour, même si je ne commente pas. J'admire, moi mes aiguilles sont aux repos depuis trop longtemps depuis que je suis rentrée. Tes quilts bébé aussi, superbes ! Continue c'est magnifique. Bises. 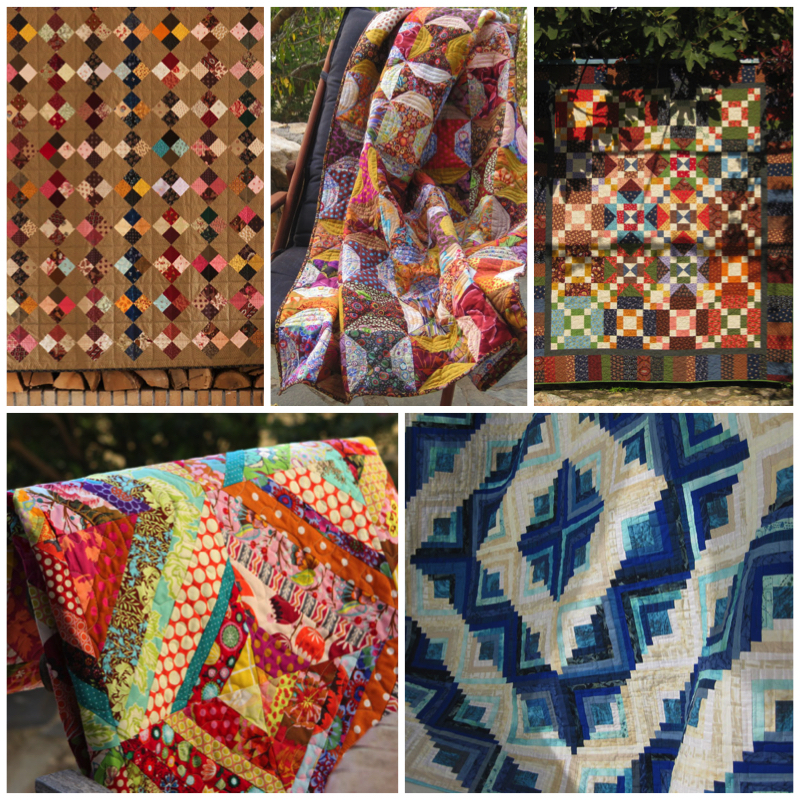 Beautiful quilts, all of them !